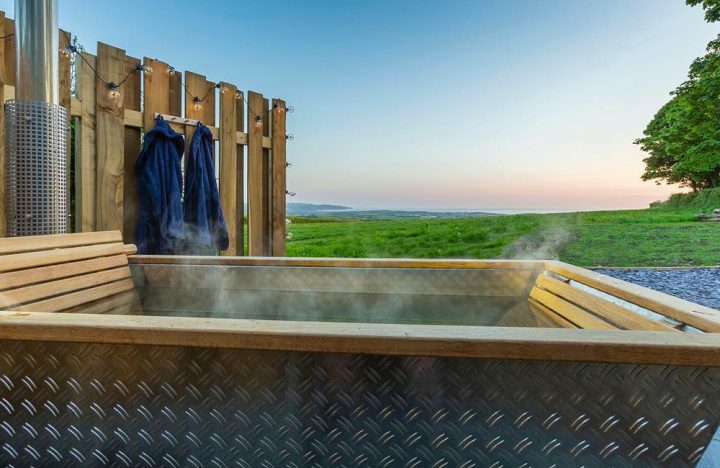 Muddy says: A beautiful glamping retreat for two in the Cornish countryside, complete with hot tub, log burner and far-reaching views you could gawp at all day. 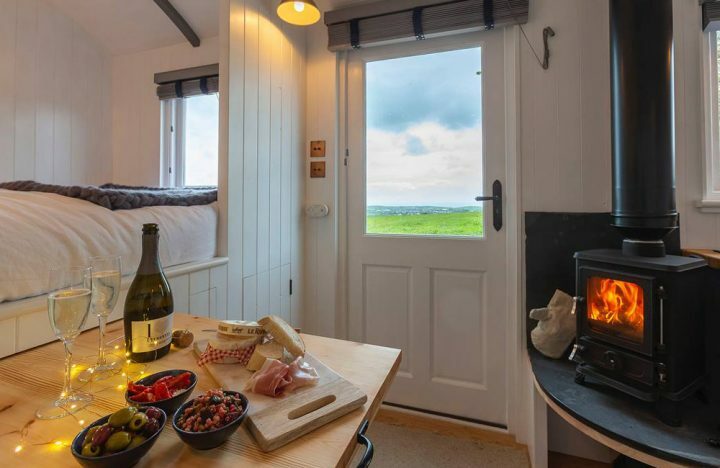 In a stunning spot just three miles from Bude, this luxurious 18ft hand-built shepherd’s hut is surrounded by rolling fields and farmland and has panoramic views towards the Atlantic Ocean and Bodmin Moor. 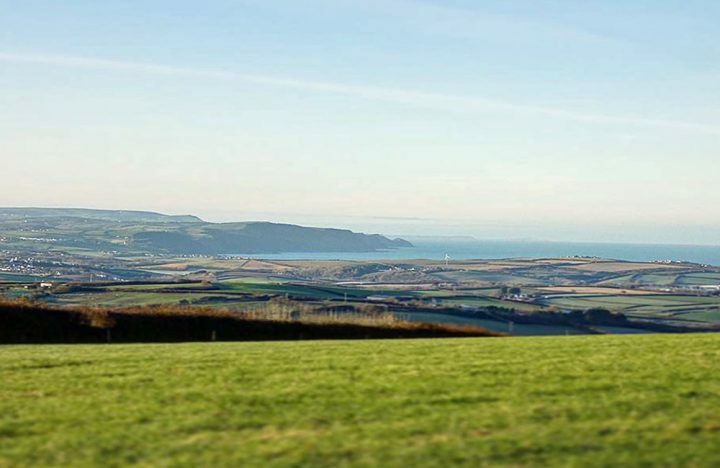 The peaceful location provides the opportunity to escape the hustle and bustle of busy lives but by no means does that mean missing out on home comforts. 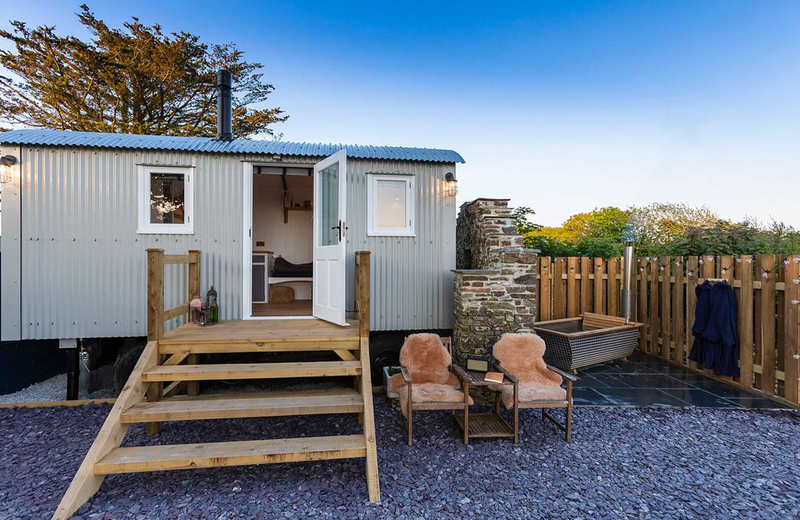 The owners of Hutterly Beautiful have pimped this gorgeous hut with everything you need for a comfortable and cosy stay. French linen bedding and towelling bathrobes await inside the stylishly decorated and beautifully lit hut. Luxe touches include a copper shower and fibre optic broadband and the Prosecco and a Cornish cream tea on arrival made us feel instantly at home. No cosy bolthole is complete without flickering flames and here the wood burner comes complete with a limitless supply of logs, so you can curl up in front of a crackling fire whenever you wish. And the pièce de résistance? A Swedish Hikki wood-fired hot tub where you can soak under the stars. Don’t make us go home!